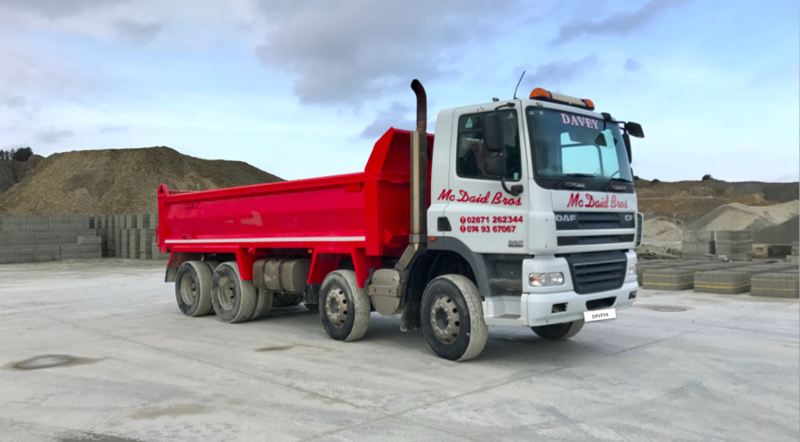 The Mc Daid family have been supplying Stone and Concrete to customers across Donegal and Derry for more than 50 years. 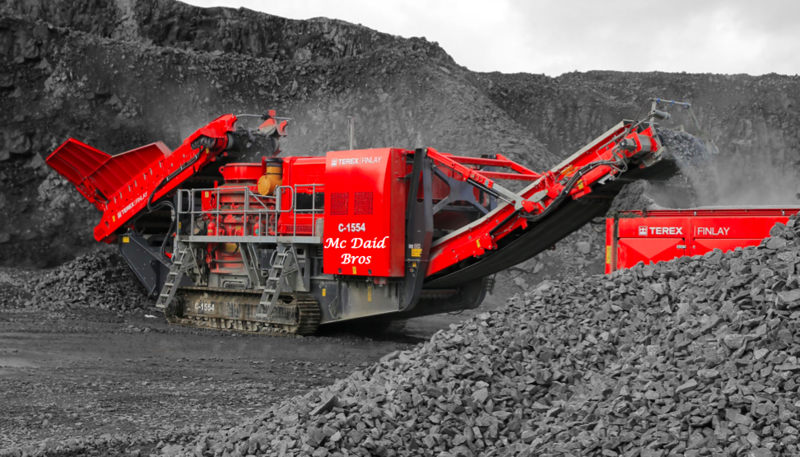 In more recent years the Mc Daid Brothers have moved into Plant Hire, Demolition, Crushing, Rock Breaking, Earth Moving and Skip Hire. Contact us today for a quote. Our crushed Sandstone is produced in Moville and Burnfoot Co. Donegal. 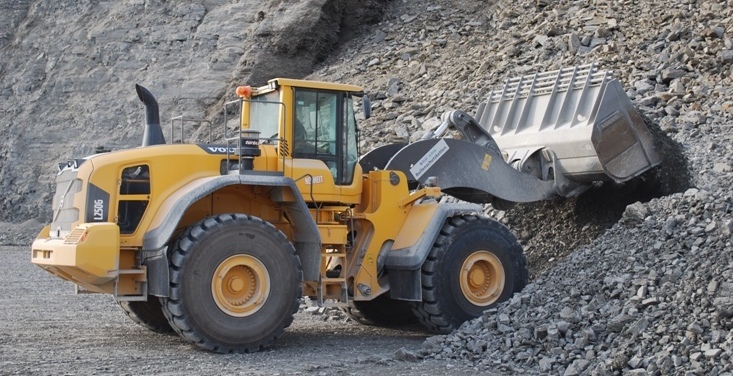 The stone is crushed in all sizes and can be collected or delivered from our site. 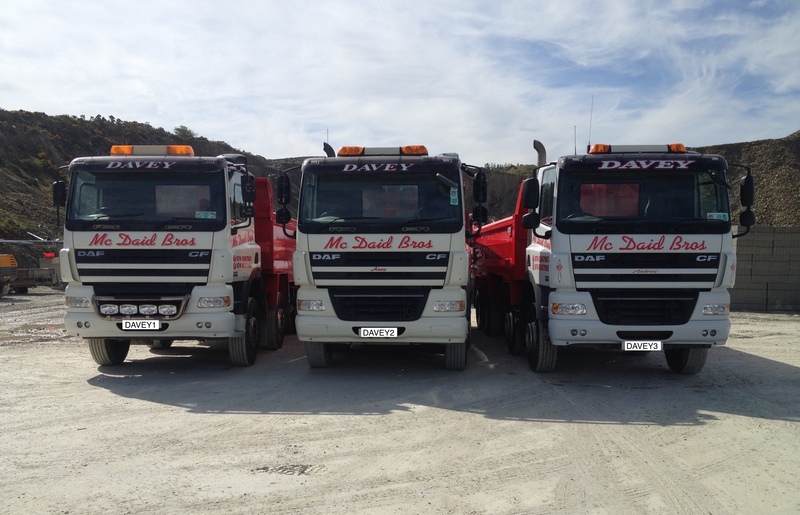 Mc Daid Brothers are one of the leading concrete suppliers to the Donegal and Derry region. 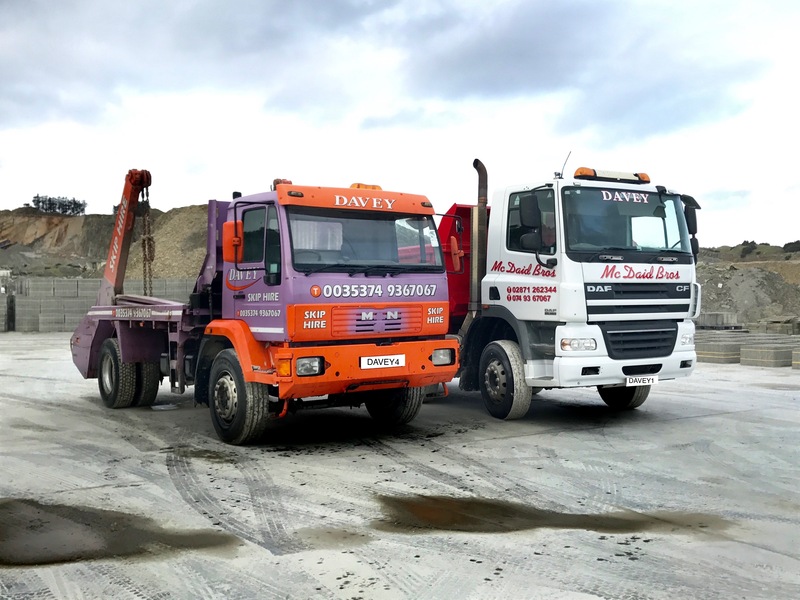 From our bases in Moville and Burnfoot we supply Ready Mix concrete to meet customer’s specific requirements. We manufacture a full range of quality concrete blocks which are CE marked and certified by the National Standards Authority Ireland (NSAI). We supply excellent quality Topsoil and Sand for household and commercial customers.